AMERICA'S FINEST CUSTOM SHOP. There are many sources for beautiful guns. But none quite like those from the Remington® Custom Shop. Why? Most custom gunmakers specialize in just one element of the gun, say, stock making. Or barrel making. Or engraving. Their own specialty is then combined with components obtained elsewhere. The result can indeed be very handsome. But in the end, it's still a conglomeration. 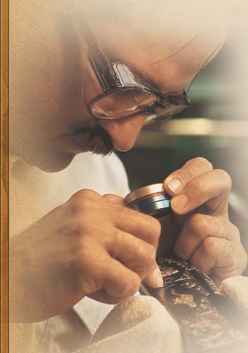 At the Remington Custom Shop, every part of the firearm is created right here - by the nation's oldest gunmaker and the most experienced craftsmen. 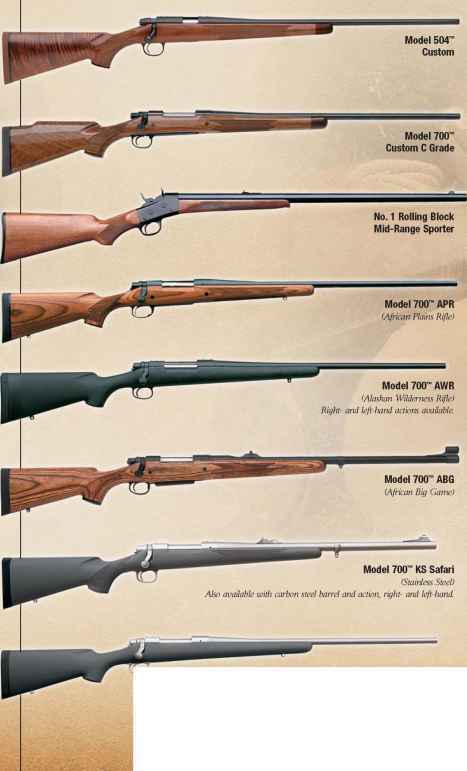 It starts with the soul of the gun, field proven actions for which Remington is most famous. Then, your dream gun is masterfully created using a wide variety of options from caliber to trigger pull weight and wood finish to engravings and inlays. Many of the options are shown here, but there's much, much more to see. To find out more, visit us at www.remington.com or call us at 1-800-243-9700. The purchase of a custom gun is a serious investment. A great comfort to those making such an investment is the ability to personally discuss the exact details, specifications, style and degree of decoration with our master gunmakers. To do so, please call 1-800-243-9700. 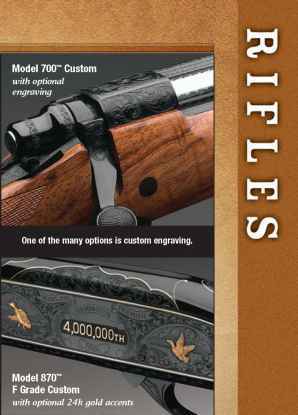 For detailed information about all our Custom Shop products and services, visit us at www.remington.com. Also available with carbon steel barrel and action, right- and left-hand.